How will you spend the last night of the year? 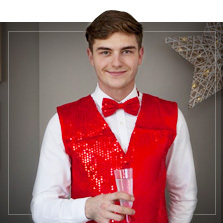 Are you looking for original New Year's Eve costumes? Or maybe accessories to complete your end of year look? 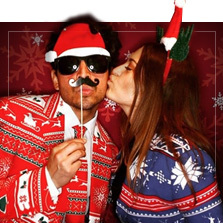 At Funidelia we have lots of outfits so that you remember the party of the year. 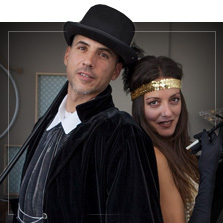 20's costumes, hippies and 80's outfits so that you can dress up for the biggest party to welcome in the new year. Coloured wigs, glitter and sequins, colourful feather boas, original hats for all tastes and lots of gold and silver New Year's accessories. There will be no glamour missing from your New Year outfit! 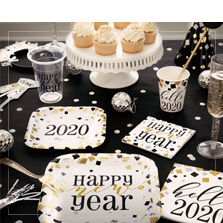 Also, in this section you will also find the best New Year's decorations for your end of year party: inflatable decorations, letter and number balloons, confetti, banners and much more! Your New Years costume is at Funidelia! Includes: 5 party hats, 5 tiaras, 10 horns, 2 serpentine streamers and 1 decorative sign. Includes: 10 party hats, 10 beaded necklaces, 10 foil horns and 70 grams of confetti.